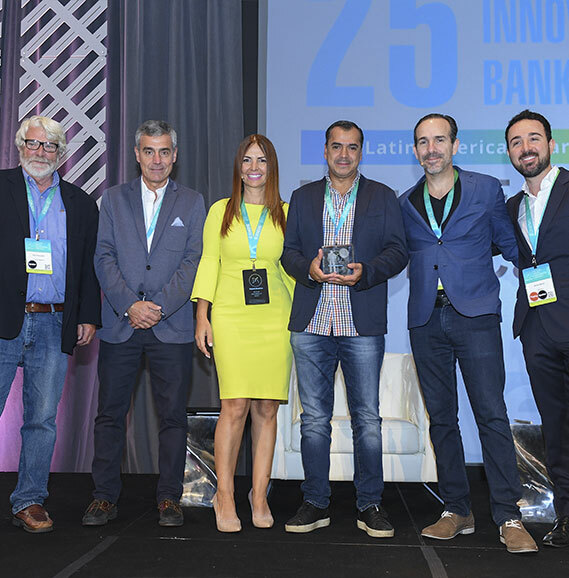 The Fintech Americas Top 25 Most innovative Bankers’ Awards are given annually to bankers leading projects that achieve breakthrough innovation and transformation in the Latin American and Caribbean banking and financial services sector. The Awards seek to identify, highlight and promote the people and projects that are reimagining finance in the Americas to be more inclusive, efficient and customer-centric. The Awards Ceremony will take place at the Fintech Americas Bank Transformation Conference at the Fontainebleau Hotel in Miami Beach next May 30-31, 2019. Fintech Americas has carefully curated a panel of World Class Innovators to serve on the fintech Americas Top 25 Most Innovative Bankers’ Awards Judging Panel. Together, they will review applications and select the winners. How has the innovation transformed or propelled the innovation of the financial institution? Is the innovation new to the market or region or does it materially advance an existing product, service, and technology or distribution strategy? Has the Innovation created a unique value for the customer or institution? Is the innovation scalable or has it created material efficiencies to the organization? The effect or impact should be demonstrated through either quantitative data or qualitative evidence of success in any of the following ways: increases in revenue, customers, production/productivity, adoption, access, quality, balance sheet or decreases in risk, cost, fraud or inefficiencies. Other considerations that will be taken into account will include any information on increased adoption rates of the product or service among existing customers or impact on brand, customer retention and even customer feedback. We welcome your submission for the Fintech Americas Bank Top 25 Most Innovative Banker Awards. All nominations must be submitted by 5:00 p.m. Eastern Time on Thursday, January 31st, 2019. Fintech Americas Transformation and Innovation Award Winners will be announced on Monday, April 1, 2019. The Award ceremony will take place at the Fintech Americas Bank Transformation and Innovation Conference on May 30-31, 2019 at the Fontainebleau Hotel in Miami Beach, Florida. Contact details of the Banker and institution being nominated. Contact detail of the person submitting the nomination. Its impact on either the organization or its customers. NOTE: When providing information on impact, it is helpful to provide quantitative data to substantiate. However, if quantitative data is unavailable, please provide and qualitative evidence to support the claimed impact of the project which can include: New customer acquisitions, information on increase in adoption of product or service among existing customers, impact on brand, customer retention and even customer feedback. Any information that provides insight and understanding of the project, such as marketing materials or promotional or instructional videos and/or media articles that supports or explains the impact of the nominated innovation is welcomed and encouraged. The decision of the judges is final. The judges reserve the right to re-classify, re-categorize or reject any entry that does not comply with the requirements of the Fintech Americas Top 25 Most Innovative Bankers’ Awards. Entries will only be judged on the basis of the information provided to the judges on the entry form and additional supporting material submitted. Judges are requested to declare an interest and remove themselves from the process if they are asked to judge an entry that poses a conflict of interest. Judges comments and feedback will only be provided to finalists and winners. Only bankers representing a financial institution from the Latin American and Caribbean region. If you have any questions about submitting a nomination, please reach out to us at info@fintechamericas.co. Qualifying financial institutions can self-nominate or are eligible for nomination from industry analysts, public relations firms and solutions providers. 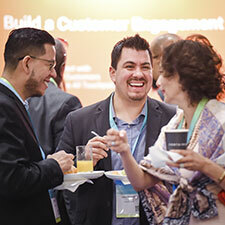 Fintech Americas has evolved into a dynamic community of progressive bankers, techies, entrepreneurs and thought leaders focused on designing the future of finance in the Americas. Now in its 6th Edition, the Fintech Americas Conference is the most important gathering of banking innovators, disruptors and regulators from throughout Latin America and the Caribbean. 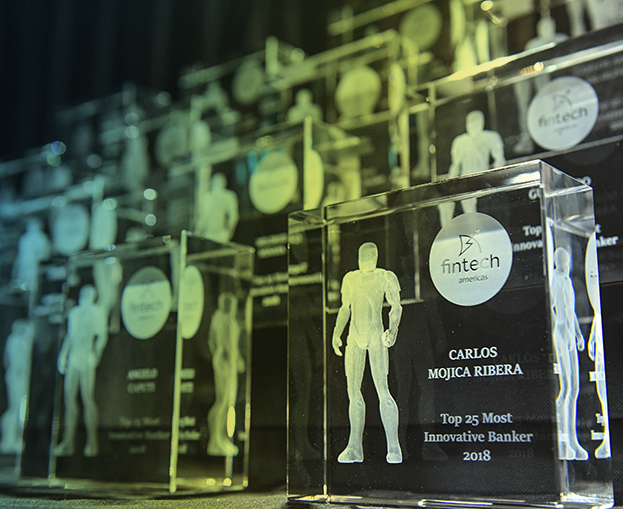 All information provided for consideration of the Fintech Americas Top 25 Most Innovative Bankers’ Awards will be treated as if available for public consumption. If there is a particular part or your entry that you would prefer not to be used, this should be explicitly clarified on the submission. All entries will be stored securely on our website and access to these by Judges will be strictly monitored. By entering the Fintech Americas Top 25 Most Innovative Bankers Award, financial institutions and related companies are authorizing the Fintech Americas organizers to use the data and certain visual materials submitted, for the purpose of the awards presentation. Where Can I access the nomination form? You can access the nomination for the Fintech Americas Top 25 Most Innovative Bankers’ Awards here. Can a Financial Institution submit more than one project? Yes, as long as the innovation effort is separate and distinct from other submissions from the same institution. What is the deadline to submit nomination forms? All nominations for the Fintech Americas Top 25 Most Innovative Bankers’ Awards must be completed by 5:00 p.m. Eastern Time on Thursday, January 31st, 2019. How much does it cost to submit a nomination? Participation in the Fintech Americas Most Innovative Bankers’ Awards is Free. How much information do I need to provide on the nomination form? Contact details on the person and institution being nominated as well as the person submitting the nomination. You will have the option of including any supplemental information that further explains the innovation or its impact. The selection process involves a careful review of each submission by the Fintech Americas judging panel where a list of finalists will be selected. A second round of review will take place to select the winners. What criteria will be used to assess nomination forms? Is the innovation new to the market or region or does it materially advance an existing product service, technology or distribution strategy? 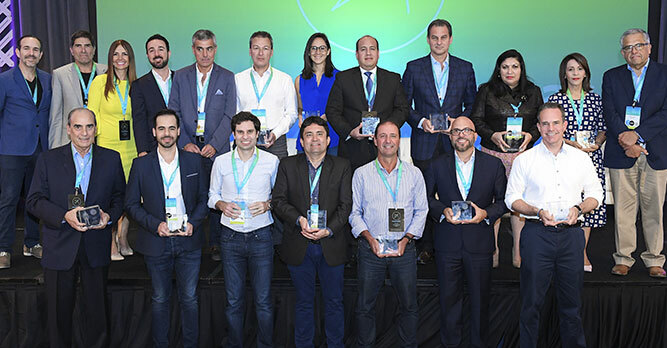 Fintech Americas Transformation and Innovation Award Winners will be announced on April 1st, 2019. 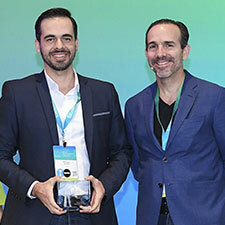 Winners will receive complimentary registrations to Fintech Americas 2019 in the Fontainebleau Hotel in Miami Beach, Florida and recognition at the 2019 Fintech Americas Innovation Awards program. Valuable Recognition & Promotion: Participation in the Fintech Americas Bank Transformation & Innovation Award offers an organization with internal affirmation of the significance of their work and an elevated status externally as a leader in banking transformation and innovation. press release, video interviews, promotion through Fintech Americas digital channels and social media and the signature award. 1.- ACCEPTANCE BY ENTRANTS - a) By entering, entrants warrant that they are the original author(s) of their submission; b) They own the intellectual property rights, including copyright rights in and to all materials submitted and/or they are authorized to use these rights; c) The submission does not infringe any third party’s intellectual property rights or other proprietary rights, including copyright, patent, trade mark, trade secret, design; d) They agree to be bound by any subsequent reasonable instructions or decisions of Fintech Americas or the evaluators. e) By entering, all entrants agree that non-confidential information and material, such as names, photographs, images, videos or written material as disclosed to Fintech Americas may be reproduced, published and used by Fintech Americas in relation to this competition, including for promotional purposes (including in print and on Fintech America’s website). f) Entrants warrant that they have the legal right to authorize Fintech Americas to so use all disclosed information and material. 2.- LIMITATION OF LIABILITY - a) Entrants warrant that they are eligible to participate in the competition and agree to release, indemnify and hold harmless Fintech Americas and all associated third parties in the competition and their respective directors and employees from and against any and all losses, claims, liability and damages of any kind, brought against any of them, as a result of their breach of any of these terms and conditions, their participation in the competition, or acceptance or usage of any prize or award. 3.- GOVERNING LAW AND JURISDICTION - a) These terms and conditions are governed by and will be interpreted in accordance with the laws of State of Florida, United States of America and the Courts of State of Florida will have exclusive jurisdiction. 4.- CONFIDENTIAL INFORMATION - a) Fintech Americas will treat any and all Confidential Information in the strictest confidence. It will not, without the prior written approval of the entrant, use any part of the Confidential Information other than for the purpose of the competition. b) Confidential Information means all material and information pertaining to the entrant and their submission and includes: all information and materials relating to the concept, design, development, materials and research relating to the content disclosed in the submission, including but not limited to all drawings, specifications, technical information, research and development details, product analysis, compilations, documents, records, notebooks and similar material in any form whatsoever; all information relating to the business affairs of the entrant, including any marketing plans, business plans, and financial information; information which is by its nature is confidential or which the entrant advises is confidential. c) Information shall be deemed confidential whether or not it is identified as such at the time of disclosure. d) The term Confidential Information does not include information which: at the time of entry is in the public domain or subsequently enters the public domain without fault on the part of Fintech Americas; is received in good faith by Fintech Americas from a third party, which party is lawfully in possession of the same and had the right to disclose that information; is, at the time of entry already lawfully in the possession of Fintech Americas and can be demonstrated by written record to be previously known to Fintech Americas; is required to be disclosed to a governmental agency or otherwise by law; or the entrants indicate in writing is not confidential.